I'm not usually a big fan of returnees to shows, but since its Ethan (my first Survivor winner, still my favorite to this day since his win was the reason I continued watching Survivor knowing the good guy CAN win) and Jenna (Wasn't a fan of her in Amazon, but still nice to see her again), I'll be rooting for them lots and lots! Heck, I even liked Rob/Amber on TAR. Plus, Zac seems cool if only for his achievement so I'll be pulling for him and his Dad as well. Anyway, this season is already exciting me! Cannot WAIT to see it! Ethan and Jenna on The Amazing Race 19? So pumped! Great work everyone! They were the eighth team to arrive according to the PitStop spotters. This could turn out to be a great cast. I'm already liking Laurence & Zac, and Ethan & Jenna do have that 'beyond survivor' story that theschnauzers has mentioned which will no doubt appeal to more people than Rob & Amber. My speculation is that our missing 11th team is a M/M team as we only have 2 of the usual 3. I had a feeling we were missing an M/M team. I just thought they would do better than 8th! ETA: Prophet, I have to admit one of the things I've enjoyed about TAR since season 12 began is the addition of team colors. I think it adds a little to the visuals when looking at publicity photos and things. That said, I think you should keep the other young couple as purple. I really wish I could figure out the color for my number five team. I just took out the purple because I had no good evidence to keep it. Here are the two pix of them, any ideas? Maybe I should stick with my first hunch. Well I remember in TAR 17 Thomas wore a plain white shirt at the starting line while Jill wore a purple tank. The exact same case as in the airport photo of our mystery couple here. The thing I have realized is that a lot of times in the first leg teams will pose at the starting line in their team color and change to more racing appropriate clothes for the majority of the leg. The unknown M/M team is in matching light blue shirts, matching khaki shorts, matching short brown hair. 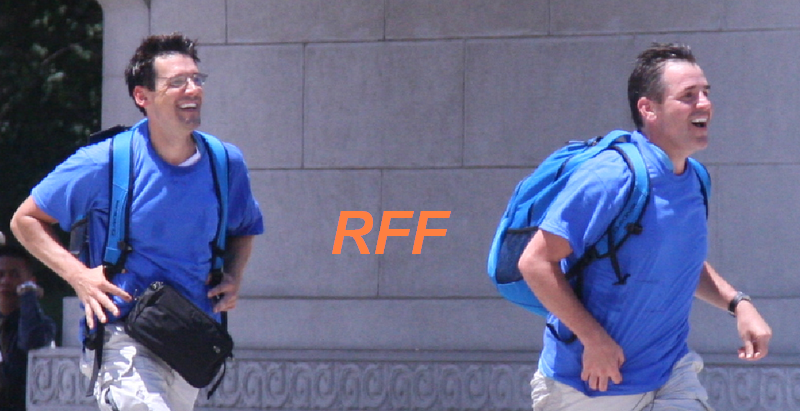 Judging by their shirts and backpacks, I'd say their team color is blue, but that color's already been taken. I don't think the lady in the orange team is African-American. As for the mystery color team, they have orange, blue, yellow, white, black, purple... 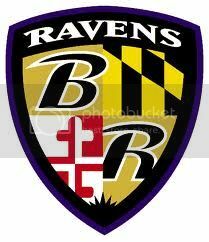 I don't think they even know what team color they are. I'd call them Orange since the shoe laces are orange. For example, Terence & Sara of season 13 went to special effort to get a bunch of purple shoe laces. Skip that! I see Orange is clearly taken. The couple with the African American man and lighter skinned woman are orange. And only he has the funny shoelaces. Really nothing that they are wearing matches their partner. Too many BLUE teams! So confusing! And were they going for a light load? Just a passing comment about team colors. In past seasons, we've had more than one shade of some colors, such as with blue, green, and red (e.g., pink). I'll let the folks with photos and on the scene take that reminder from there. Now that we've seen pictures of all the teams we should be able to notice any other celebrities. I can't imagine they'd cast only two teams with semi-famous people, not that I'd mind. Several of us think this team looks very familiar...can anyone help? Don't know where I have seen them, but they sure look familiar. Well the photo of Laurence & Zac at the mat with Phil shows they are indeed our black team. Yay for a color that isn't blue. I think the black couple in the lime green at the pit stop look like they could be father daughter. But it is difficult to tell. Great to see the last team Bright Blue M-M team. I don't get brothers from these two, but maybe. Best friends, co-worker nerds or maybe even boyfriends? I thought so too. He does seem older than her. And I agree with weihen too. They both seem pretty smart and streamlined. Outdoorsmen? I didn't take photos of the last team because I saw Phil was on a car and headed out after 10 teams checked in, I thought he went to tell them they were eliminated. So I just left." but this afternoon, i saw an old couple at Gambir Train Station. decoy, maybe? why they didn't sent to elimination station?